3. Even if you update regularly and you have not seen any suspicious activity on your PC, do a deep scan at least once a month. 4. Always create an emergency boot disk and keep it in a safe place. 5. Run a deep scan in safe mode at least once every two months to kill viruses that would otherwise remain hidden. 1. 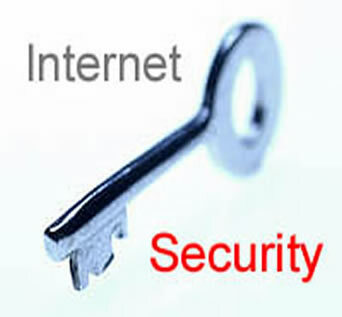 If you are unsure about the alert displayed by your firewall, try searching it on the internet. 2. A firewall is a powerful tool that requires an understanding of how the program works and exactly what it is doing and whether it is secure or not. Reading the help files is extremely important in successful configuration of your firewall. 3. If you are running a third party firewall, be sure to turn off the Windows Firewall. 4. You can temporarily disable a firewall by right clicking the icon in the tray. This is handy when you know a program is one you can trust but your firewall is blocking it. But remember to re-enable it as soon as possible. 5. Read firewall notices carefully when they pop up so that you don't let a bad thing in or prevent good traffic. 1. You should regularly check for updates. Enable the automatic update feature. 2. Remember to do a scan every now and then, or schedule scans if your program allows it. If you don't want to sit that long for scans to complete, use a single folder for all your downloads, then scan only that folder, Windows installation folder and the Registry. Alternately, you can do a quick scan if your program allows it. 1. Be patient with anti-spam filters, they will get better over time. 2. Even if it looks that your anti-spam filters are working great, periodically check the 'Spam' folder for good mail. None of the anti-spam software is perfect right now. 3. Don't give your anti-spam filter too much rules, because it will not learn anything then. It is better if it learns on its own. Look forward to read your next post.